Sara Fortuna is Associate Professor of Philosophy of Language at the Guglielmo Marconi University of Rome. She studied Philosophy, Linguistics and Semiotics at the University of Rome “La Sapienza” (BA, MA and PhD), at the University of Calabria and at the Freie Universität Berlin (Postdoc), where she was also fellow of the Alexander von Humboldt Foundation. A significant part of her research focuses on seeing-as and aspect change in Wittgenstein’s philosophy, on Kant’s theory of symbolic schema, on Vico’s philosophy of language origin, on physiognomic perception and language in eighteenth Century German Philosophy. She is also interested in feminist theories, Italian literature, history of linguistic ideas. She is co-director (with Andrea Gentile and Tommaso Valentini) of “Aretè. International Journal of philosophy, human & social sciences” (arete.unimarconi.it) and with Rossella Saetta Cottone of the Italian Project connected with the Vocabulaire européen des philosophies (2004) edited by Barbara Cassin. 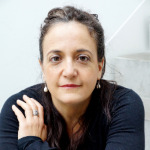 Her publications include A un secondo sguardo (2004), Il giallo di Wittgenstein (2009), Dante’s Plurilingualism (2010; ed. with M. Gragnolati and J. Trabant); Wittgensteins Philosophie des Kippbilds (2012), On Dogville (2012; ed. with L. Scuriatti).